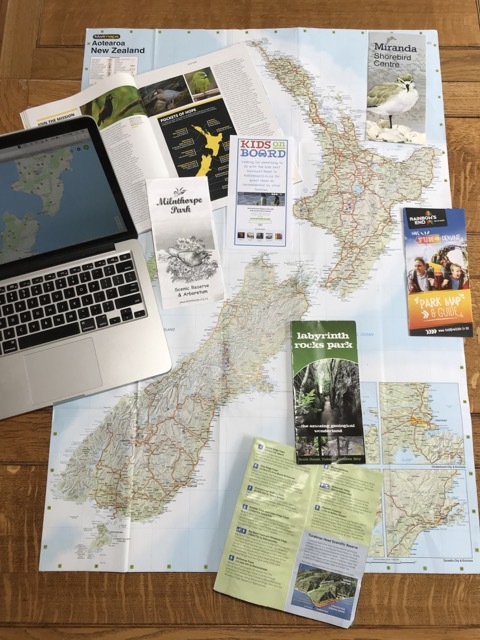 At the end of the peninsular, east of Matakana and 80km north of central Auckland, Tawharanui Regional Park is a great place to come to escape the hustle and bustle of the city. There are a whole lot of free activities to choose from, any of which make for a great day out; walks from 1km to 9km, dedicated cycle paths, bird colonies, pristine white sanded beaches for swimming, surfing or boogie boarding, snorkelling (the north coast around Anchor Bay is a marine reserve) or rock pooling, fishing off the rocks outside of the marine reserve. If this sounds like your kind of place, you may want to book into the basic campground or try to grab the one bookable 3 bedroom bach so you can spend longer. Tawharanui Regional Park is protected by a predator proof fence which you have to pass through to enter the park. You can drive and park near the beach around Flat Rock and start your chosen activity/ies from there. This is where the toilets are, so it’s a good idea to visit the facilities before you go any further! There are both dedicated walking and cycling tracks, so have a look at this map to decide on your route. Tracks going east onto the peninsular are undulating and go through both grassy farmland and native bush. As there’s a working farm within the regional park, it’s important to leave the gates as you find them. It’s also worth noting that because of the predator free status, no dogs are allowed at any time. 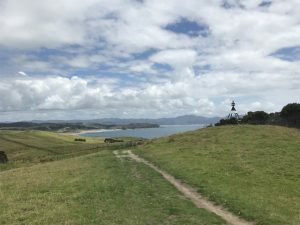 If you’re cycling, you might want to take a bike lock with you so you can leave your bikes on the North Coast track to walk to one of the lookout points on the Eastern most point. You’ll need to take all of your food and water with you as there are no shops within the regional park. Matakana probably has the best, closest selection of food shops. But there are plenty of scenic spots which would be perfect for a picnic. If you’re looking for a meal out after a day out in Tawharanui, check out the Sawmill Brewery open for lunch and dinner. Address: 1181 Takatu Road.The regional park is accessed by car through the gate in the predator proof fence at the end of Takatu Road. Open: the gate through the fence opens for cars automatically from 6am – 9pm daylight savings (beginning October to end of April) and 6am – 7pm during the winter (end of April to beginning October). People who are walking can access the park outside of these hours.